Avatar 2 Release Date, Wiki, Trailer, Plot, Star Cast: After Titanic, the versatile personality Mr. James Cameron is known for his another masterpiece which had released in 2009 Viz. “Avatar.” It was the all-time hit movie by earning highest box-office gross ever with a margin of $600 million over the director’s other smash-hit, Titanic. 9 years have gone since we have watched the beautiful piece of art from the Picasso of the Cinema James Cameron. As the time passes many movies come and go, but still, the whole world has been missing Avatar. But, if no mismanagement occurs, then People, wait for the most awaited sequel of the hour will be released soon. 1.5 Avatar 2 Trailer: Are You Kidding? The shooting was supposed to be under pipeline from April 2016. But that could not have been possible. Many sequels of the Avatar are still in pre-production. However, the production and shooting started on August 15, 2017, with Manhattan Beach, California as its main location. Principal photography started on September 25, 2017. In an interview, Cameroon told us that he is not only focusing on the making of just Avatar2, but he also wants to develop the Avatar 3, 4, and 5 simultaneously. This can be one reason that there is a delay in the making of part 2. It is going to be the second of the four planned sequels in the franchise. Cameroon further added that he has done with the writing of sequel 5 and now he will work actively with actors from August. Hence, he will be busy in the pre-production process at this time. In May 2018, Saldana said that the shooting is kinda halfway done. On May 31, 2018, Cameroon said that Avatar 2 will revolutionize 3D. After the lots of dates changing due to some or other reason, it seems that they have the date of December 2020. The movie was originally supposed to release in December 2014, and the third part in December 2015. But after the fourth film was added these dates were pushed back to the December 2016, 2017 and 2018. But Cameroon has a record of being the non-committable and as he is saying that he wants to release all the sequel with a short span of the time difference. If our source is not mistaken, then they are coming with a total of five sequences, and hence they are going to shoot consecutively. In April 2017, the release dates were announced – December 18, 2,020 for Avatar 2, December 17, 2021, for Avatar 3, December 20, 2024, for Avatar 4, and December 19, 2025, for Avatar 5. The whole cast of the avatar is on contract. Hence, we are going to see that excellent combination of the cast in the sequel too. 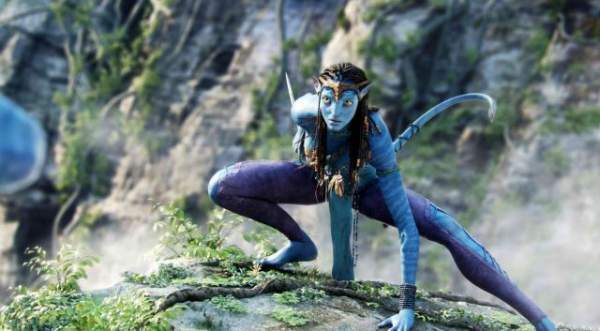 Zoe Saldana: Zoe is going to play the same role of Na’vi princesses Neytiri. She has appeared in the Star Trek and Guardians of the Galaxy; she is one of the biggest stars come out of Avatar. She had an interesting role in Star Trek and Guardians of the Galaxy. Sam Worthington: He is also returning as the human turned-NA’vi, Jake Sully. But his success story has not reflected in Saldana’s, poor chap. His Clash of the Titans and its sequel, Wrath of the Titans, he came down into the indie project from native Australia. He has done supporting roles in Sabotage and Everest. 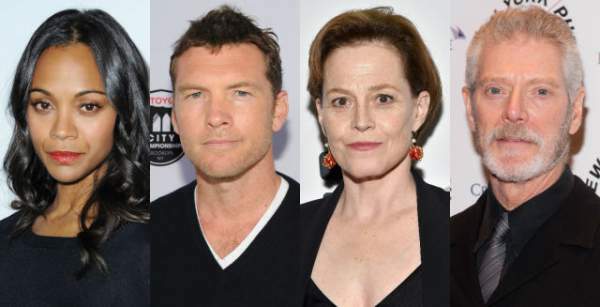 Both Sci-fi master Sigourney Weaver and Stephen Lang died in the first film, but still, they are coming back in the sequel. But according to Weaver, she will be a totally new character. If it is true, then it will be interesting to know how the character is still alive. Weaver, in 2016, said that she will portray a new character in the next film. Despite her character is not dead, Michelle Rodriguez said she won’t return in the upcoming sequel. Joel David Moore, C. C. H. Pounder and Matt Gerald are confirmed to reprise their roles. Announced newcomers include Oona Chaplin as Warang and Cliff Curtis as Tonowari. seven child actors were confirmed as a part of the main cast including Geljo, Jamie Flatters, Britain Dalton and Trinity Bliss as the children of Jake and Neytiri, Geljo, Bailey Bass, and Duane Evans Jr. as members of the Metkayina. Kate Winslet will play her role as Ronal. Giovanni Ribisi and Dileep Rao will return as Parker Selfridge and Dr. Max Patel from the first film. Cameron has pointed out that this film will stand on its own. It will not be linked with the first one so if you have not watched first part feel free to watch second part without hesitation of feeling missing. This movie will be focused on the children of Sully-New Chieftain and the Neytiri- the high priests of that clan. As per our report, there will be the journey beyond the Pandora into underwater. So schedule, of 2018 will be busy with the Sequel of Avatar. Avatar 2 Trailer: Are You Kidding? As of now, there are many fan made trailers. We will update here when the official one releases. Brace yourself for the overwhelmed entertainment and stay tuned to The Reporter Times for every new update of the entertainment world. Don’t forget to share it on social media sites. Jeepers Creepers 4: The film is on its way to be released soon? TheReporterTimes is your news, entertainment, tech and sports website. We provide you with the latest news and updates across the globe.